Last week I finally achieved something which has meant a lot to me over a number of years. Looks nice hey? But heaps of people have utes with stickers. Big deal! It was a big deal for me though. We’ve achieved plenty with Trade Risk. Just being here after five years is an achievement. Having an office with awesome staff has also been a great achievement. Picking up multiple awards and being recognised on industry lists has definitely been an achievement. 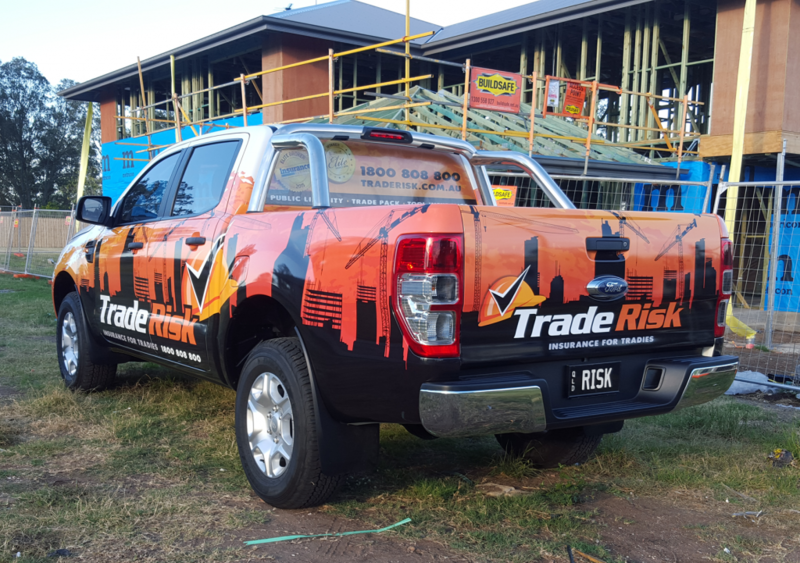 But ever since day one, what I’ve envisaged is a big ute emblazoned with my beloved Trade Risk branding. Sure I could have gone out and financed a ute and wrap years ago, but I didn’t want to do that. I wanted to earn it. So it sounds stupid, but this ute is kind of what really makes me feel like my little business is a success.